Founded in 2016, Contender Brands is a concept-to-consumer product company whose mission- is to bring simplicity, joy and laughter to others. 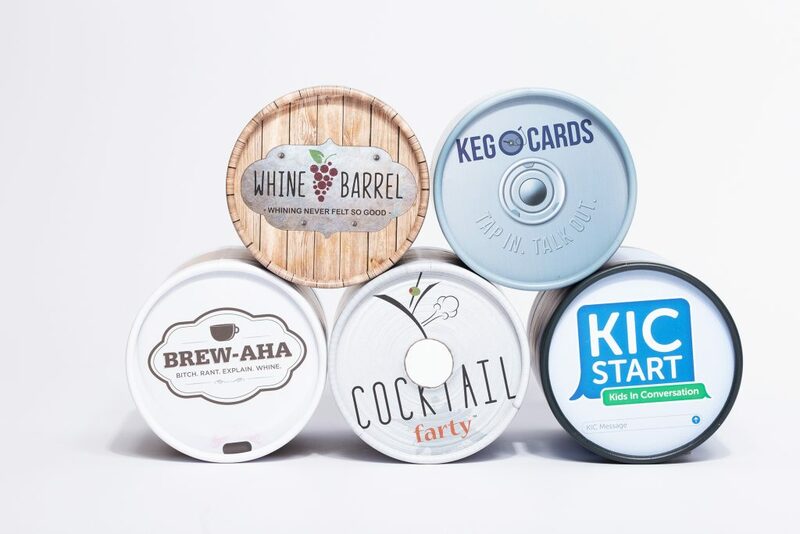 One of our product lines is a series of get-to-know-you card games (www.GTKYgames.com) that are designed to inspire conversational curiosity and thoughtful dialogue. 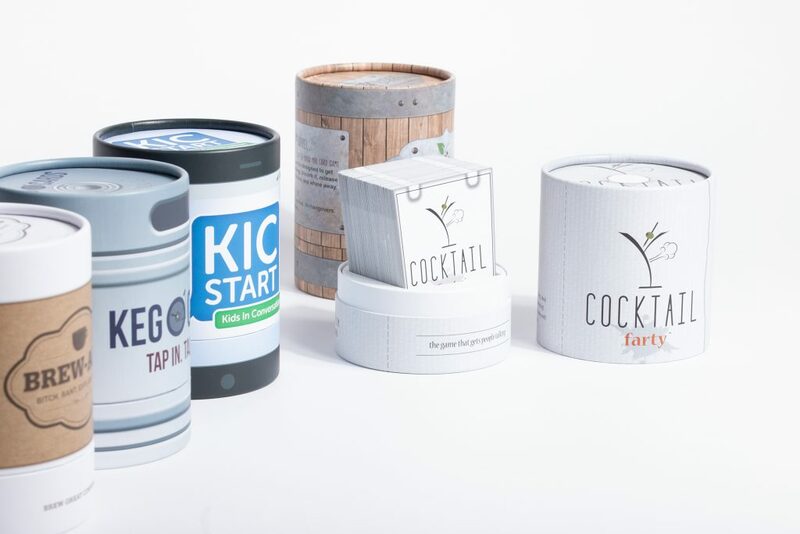 There is a GTKY Game for everyone: Whine Barrel, KegO’Cards, Cocktail Farty, Brew Aha, and KIC-Start (Kids in Conversation). Each game contains 150 get-to-know-you questions (nothing obscene or inappropriate), and the packaging on each is fabulous. Prior to reaching out to PakFactory for packaging, we had designed the game in a plastic container with a 4 piece sticker/label attached to the outside. It was heavier than we wanted, and the application of the stickers left a lot to be desired. It was challenging to apply them in a consistent manner. That is when we decided to reach out to PakFactory to help us produce our new ideas for the packaging. We wanted a more impactful presence to the brand of the products. We were thrilled to work with Kristen! Her responsiveness and customer service has been an absolute “10” since day one! Based on the inquiry and product evaluation, PakFactory was able to immediately understand the concept they were trying to create. Several samples of the product were sent over for the structural engineers to review. The process moved quickly from there. 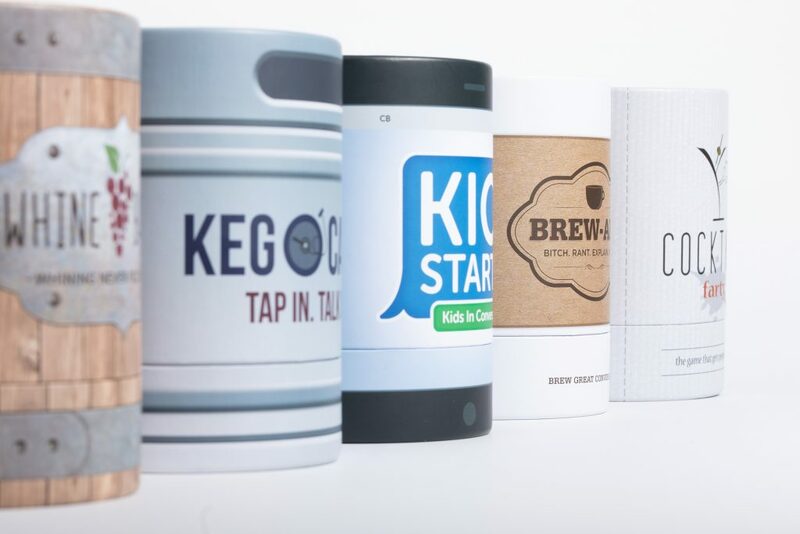 Based on the collaboration from both parties, the result for the card game packaging was a rigid 2-piece cylinder and a custom insert to hold the cards firmly inside. The box was also coated in matte lamination creating the simplistic but sleek appearance with a full flood offset print for the artwork. Definitely a significant upgrade from the previous packaging used for the cards. We called to inquire about how to repackage our first game, and PakFactory immediately understood the concept we were trying to create. Working with PakFactory was an amazing experience from day one. Since the new repackaging, the card game has received lots of positive reviews on both the card game itself and the packaging. The artwork and structural design doubled the engagement on the product. PakFactory not only produced the packaging but the cards as well. The final production of the cards consists of each carefully wrapped in plastic and secured properly. Overall, this was an easy process for us with incredibly clear and consistent communication and updates from PakFactory at every step of the process. We highly recommend them and will definitely work with them again.